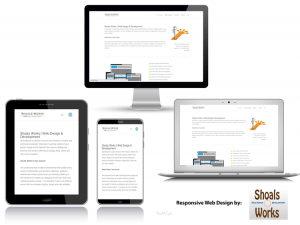 Responsive website design is not just about fitting your website content on a mobile screen, it’s also about making sure that functionality works in contexts and scenarios ideal for mobile. Forbes.com contributor, Jayson DeMers, recently released this article detailing Google’s testing of ‘not mobile-friendly’ icons next to poorly optimized sites. Read Jayson’s “Is Mobile Usability Now A Search Ranking Factor?” article to learn more. Mashable called 2013 the Year of Responsive Web Design. Google is tuning their 2014 search algorithms to promote responsive websites. Wikipedia defines it as: Responsive Web design (RWM) is a Web design approach aimed at crafting sites to provide an optimal viewing experience—easy reading and navigation with a minimum of resizing>, panning from mobile phones to desktop computer monitors and scrolling—across a wide range of devices. In a Nov 2013 study, Walker Sands, a public relations and digital agency for technology companies and startups, found that the percentage of website traffic from mobile visits continues to increase year over year. Despite an overall increase in the amount of traffic since the same quarter last year, iPads experienced a drop in market share, down to 15.6 percent in Q3 2013 from 19.7 percent in Q3 2012.